How much do your monuments cost? We’re here to get some price quotes. Could you give me some prices for your monuments? These are some of the most common phrases we hear from customers when they call us on the phone or first walk in our door. Without more information, this is an impossible question for us to answer, it’s understandable why many people think we should be able to answer it right away. Most stores have their prices posted directly on their products or have websites with all the pricing information readily available. Now, we could answer the question, but the price range we’d give them would be so huge it would be entirely unhelpful. Imagine walking into a car dealership and asking them how much their cars cost and their response is “$500 – $80,000”! That’s not going to give you a good idea of how much your car will actually cost. The same principle applies to our business. Answering the question without further information is completely pointless! In fact, after a quick calculation, our price book has over 2,100 individual, base prices. Imagine trying to communicate all of that to a customer! Instead, what we will do is start to ask lots of questions to get a better understanding of what exactly each customer or family is looking for. As we learn more about their budget, ideas, needs, and other important information, we can start to better answer your questions. So, let’s walk through some of the questions we will ask and why they are necessary to determine the price of your monument. 1. 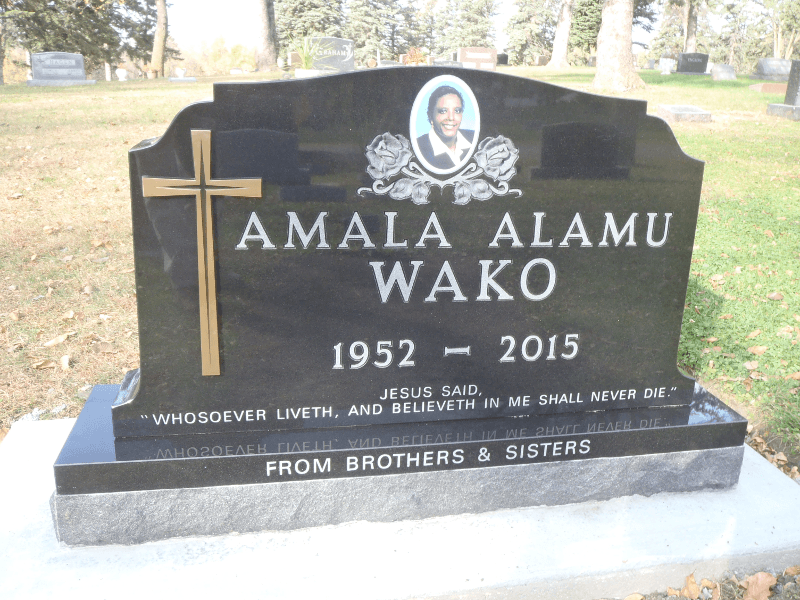 In which cemetery will your stone be set? Believe it or not, not all cemeteries are created equal. It seems that, just to make our lives more…interesting, every cemetery has a different set of rules and regulations. 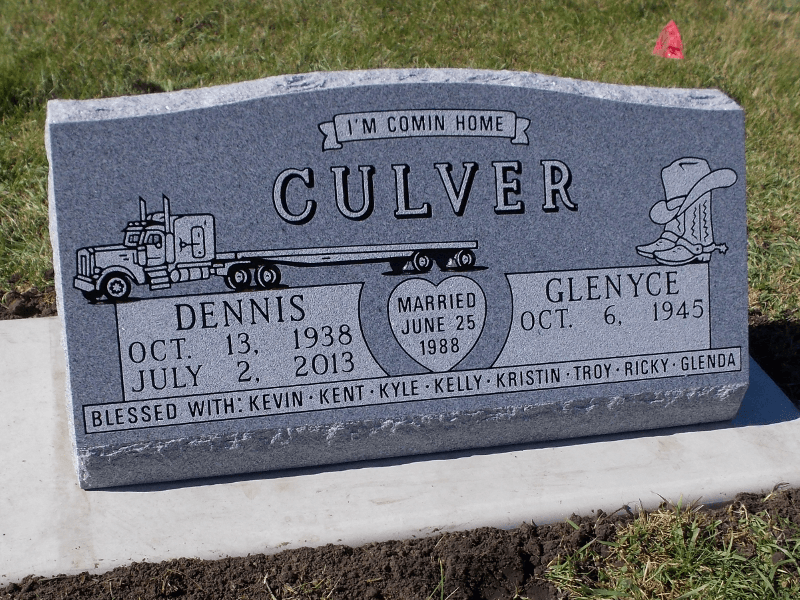 Some cemeteries have setting fees that we will incorporate into the cost of the stone. Some cemeteries have size and style regulations. Some cemeteries have different regulations for each section within the cemetery itself. Needless to say, this is always the first question we ask. 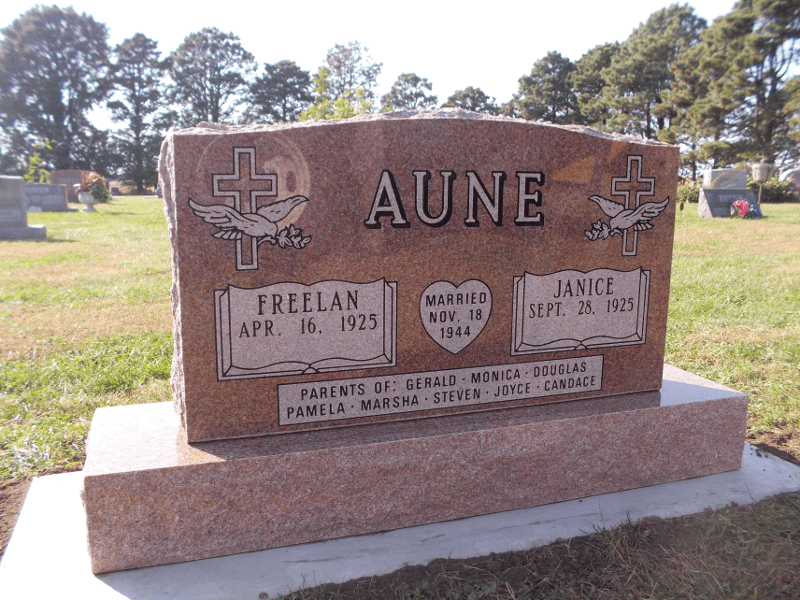 Knowing which cemetery the stone is going to and, in some cases, the specific section, provides vital information to us as we navigate through the remaining questions. In fact, knowing the cemetery may actually answer some of these questions for us before we even have to ask! 2. 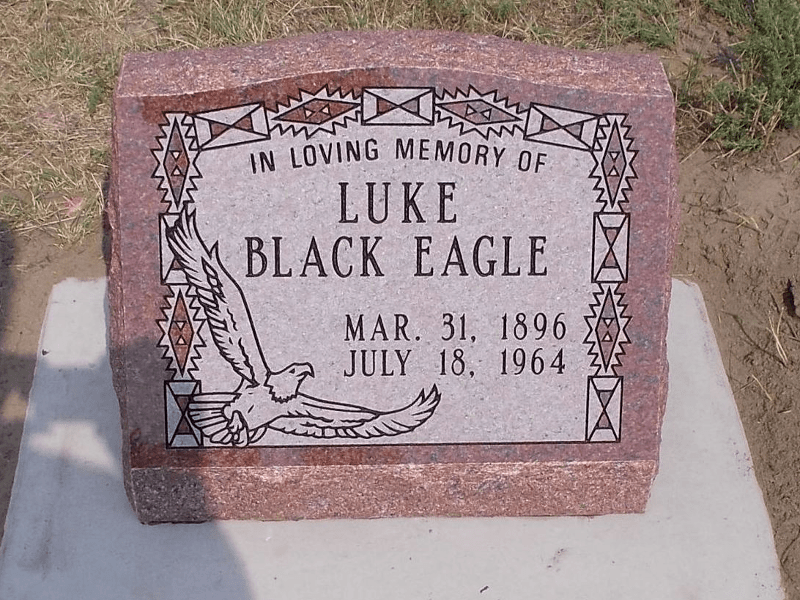 How many people will be memorialized on the stone? 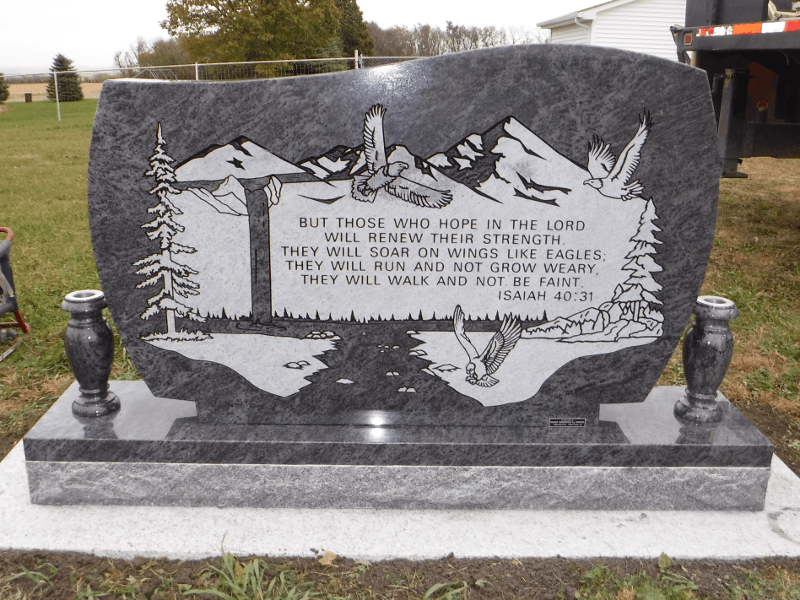 Will there be one person memorialized on the stone or will there be two? If there are two, it will require more space to be able to fit the names and dates of two people. Also, many times, if there are two people, they are married. This means they may want to include a marriage date, artwork, and/or their children’s names, all of which require more space. See examples of single monuments and double monuments. 3. 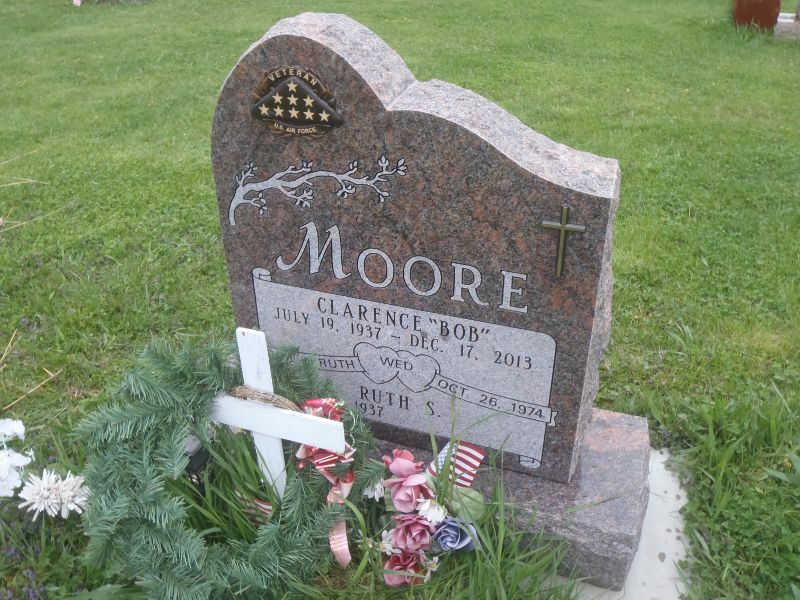 Did the person being memorialized serve in the U.S. military? This is an important question to ask because, if the person being memorialized is a U.S. veteran, there are additional options available to them provided by the United States Government. In fact, a US veteran can get a completely free headstone from the government if they’d like. 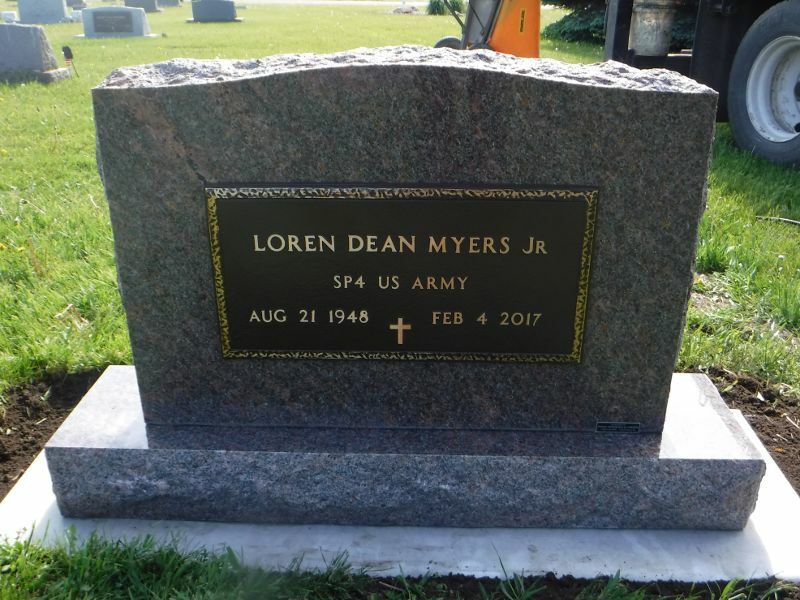 They can also get two sizes of bronze plaques and three sizes of bronze medallions that can be added to a stone we create for them. Follow this link to learn more about these options. If you are a veteran and would like to utilize one of these free options, we will need to ensure there is space on the stone. If you want the large plaque, that will take up an entire side of a stone whereas the smaller medallion is only a few inches across. 4. What style & size of monument are you thinking about? Once we’ve established answers for the first three questions, we can finally start looking at the style and size of monument you’d like. There are many options here and you can see many examples over at our galleries. 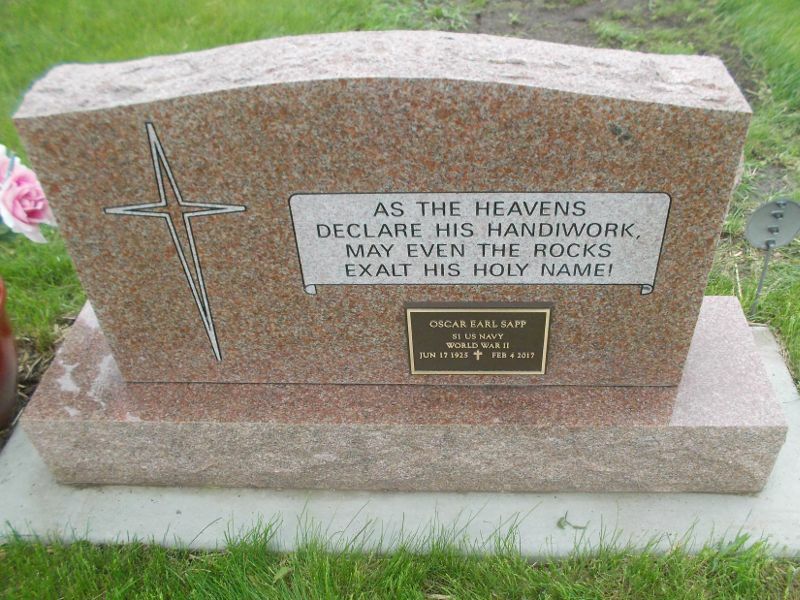 The most popular options are two-piece upright monuments, slant monuments, and markers. Each of these styles requires varying degrees of time, energy, and product to create. 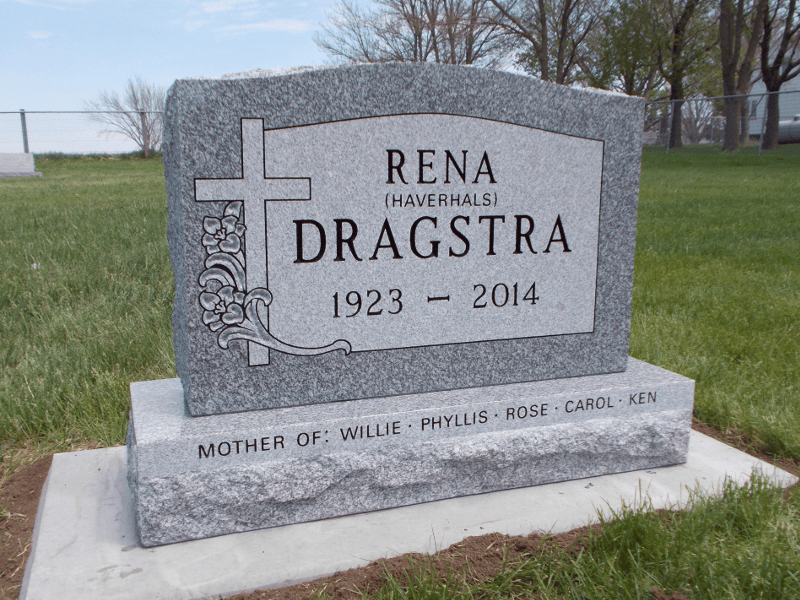 Two-piece upright monuments are generally more expensive than most other options. They consist of two pieces of granite: a tablet sitting on a base. Upright monuments have the advantage of providing the most space for carving and are often polished on both the front and the back. Slant monuments are more “mid-range” in their pricing and still offer a good amount of carving space on their polished front slant. You are also able to carve information or attach military bronzes on the back surface as well. In general, markers are the most affordable option as they require the least amount of granite to produce. They can either sit above ground on a foundation or be placed flush with the ground. These offer the least amount of carving space as the only space available is the top surface. 5. What color of granite are you thinking about? 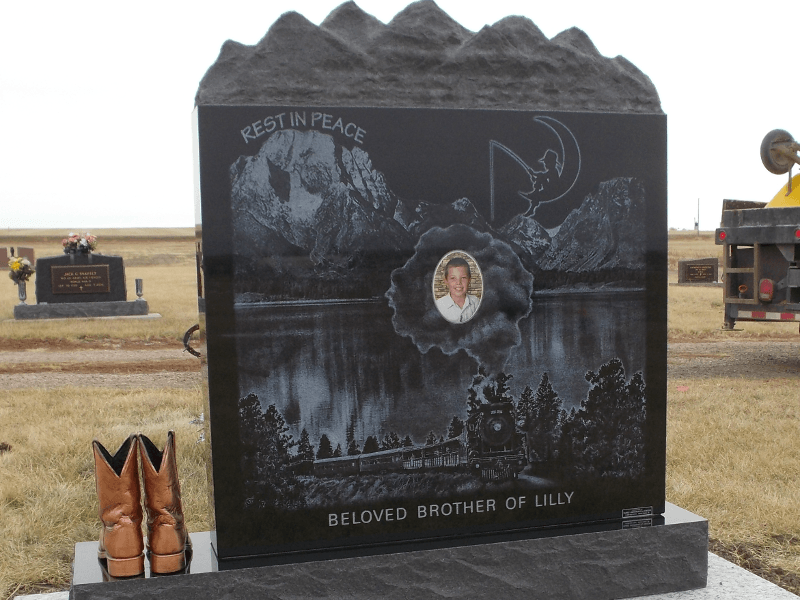 Other than the size and style of your monument, the color of granite you choose plays the biggest role in how much your monument will cost. The geographic location of the quarry and the availability of the granite supply are the two biggest determining factors in regard to the price of granite. If the granite needs to be shipped from overseas it is typically more expensive because it has to travel by ship, go through customs, pay taxes and tariffs, be put on a truck, and finally delivered to our shop. The amount of any color being produced also plays a large role. For example, if a quarry has a popular granite color, but only has a limited supply, naturally, that granite will become more expensive than a popular color with a virtually unlimited supply. For example, a very beautiful Blue Pearl granite from a small quarry in Norway will be significantly more expensive than a nice gray granite from Georgia where there is a quarry every few miles. 6. Are you thinking of a standard design or something more unique/custom? Yes, you may have already decided you want an upright monument, but do you just want a standard serpentine top or maybe you’d prefer a flat top? Or, maybe, instead of just the front and back polished, you want the sides and top polished too! 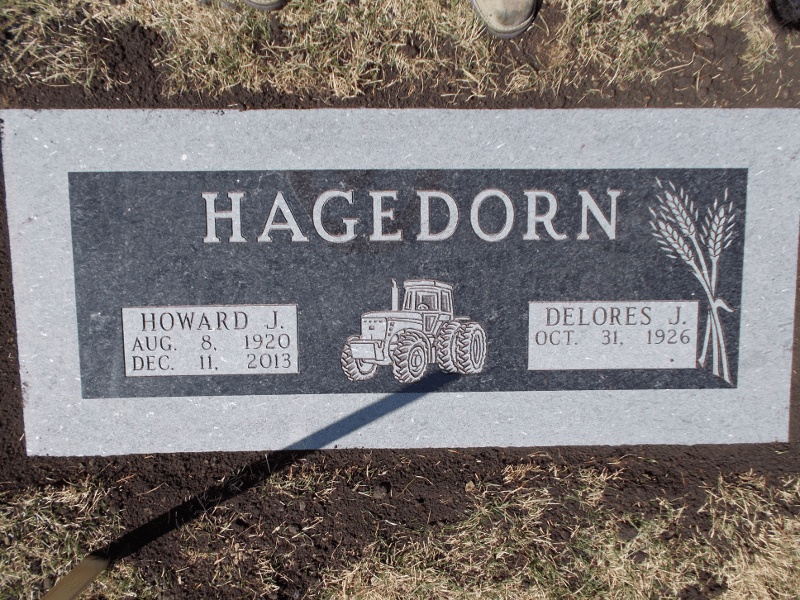 There are many ways to customize a monument and each one will affect the final price of the stone. 7. Would you like any additional lettering, carvings, lasers, or porcelains on the stone? 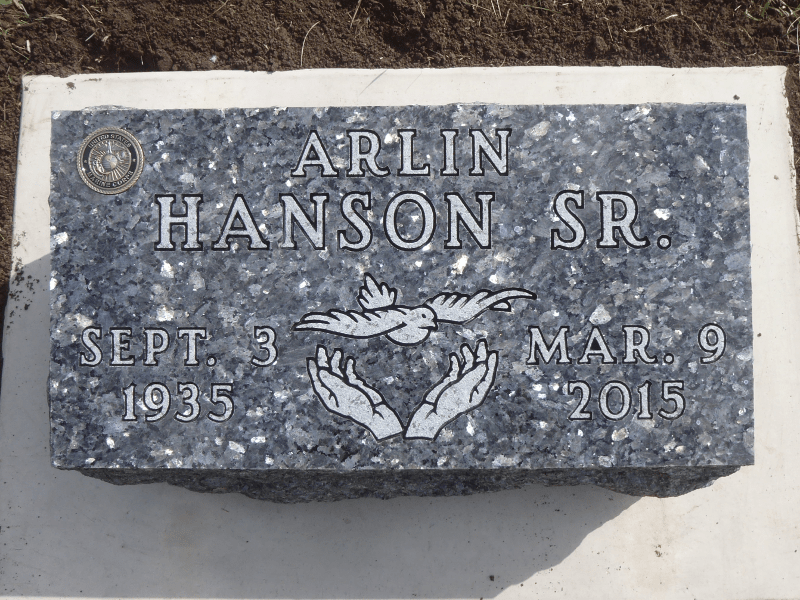 Did you know there are even more design elements you can add to a stone to help tell a more complete story of the person/s being memorialized? You can add more carvings, longer epitaphs, laser-etched images, bronze crosses and boots, or even photo-quality, colored porcelains! As you would expect, incorporating these additional design elements brings added time and effort, especially for our art department, and, therefore, an additional cost to the final price of the stone. 8. Would you like to have vases or urns to hold flowers? The final consideration we’ll ask you to think about is whether you want some sort of vase or urn to be a part of the memorial. 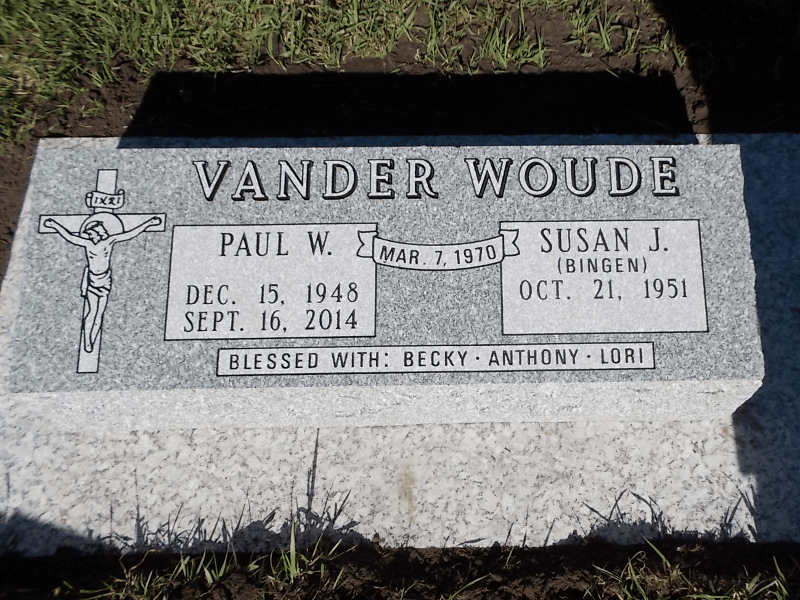 Vases offer the opportunity to place beautiful flowers next to your loved one’s grave but may also require additional work and expenses on your behalf, or the cemetery’s behalf, for the life of the stone. Vases may also require larger foundations or bases to fit which can increase the price of the monument and may even increase the fee charged by the cemetery. 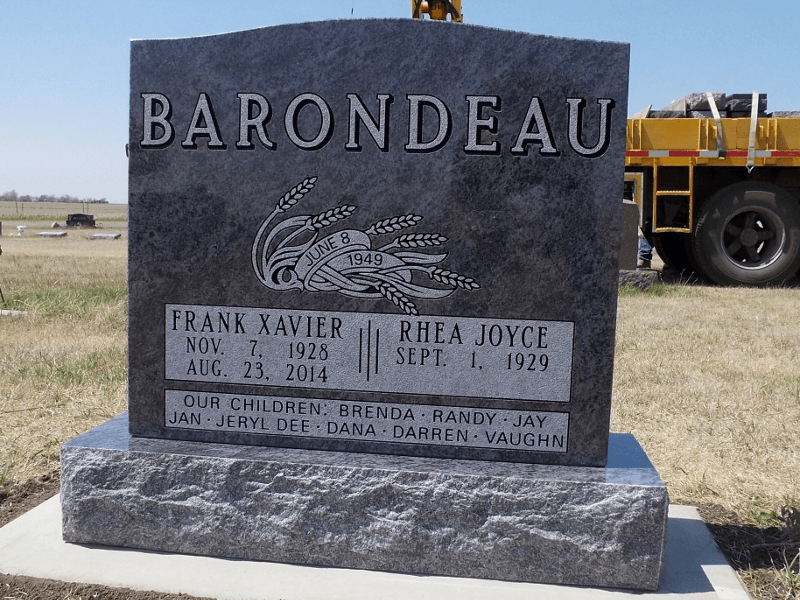 There are, literally, an infinite amount of options and combinations when it comes to designing a monument to capture your story, or that of a loved one, in stone! If you are feeling overwhelmed reading through this list of questions, please don’t fret. Our monument experts would be more than happy to walk you through this process to give you as accurate of a quote as possible! 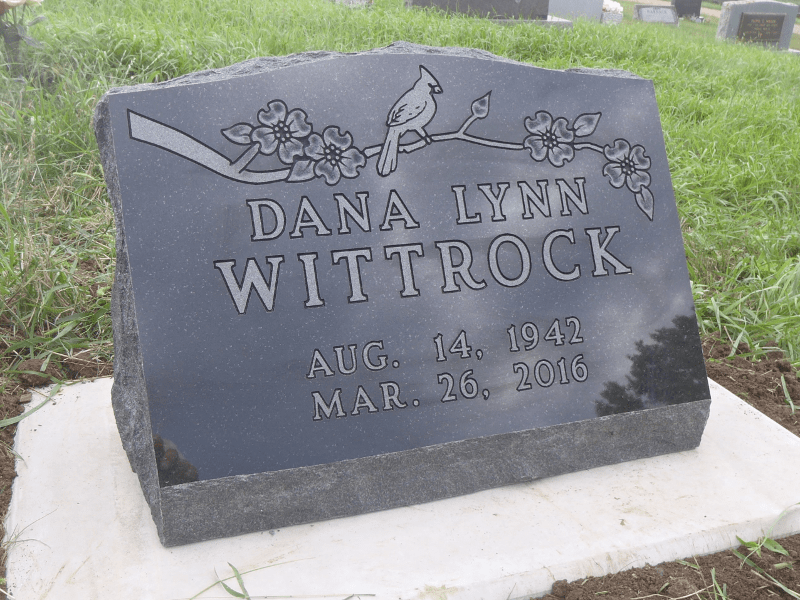 Our goal as a monument company is not to squeeze every dollar out of you, but to provide you with a high-quality, fairly-priced, monument that captures the story and essence of the person we are helping to memorialize AND fits into your budget! Nothing gives us more satisfaction than a family thanking us for the beautiful work and service we’ve done for them. Let us help you tell your story in stone! Dustin has worked in the monument industry for just over three years. He has a Bachelor's degree in Architectural Design and a Masters of Social Work. He originally started working in the art department at Family Memorials and has also spent some time in our manufacturing shop. He also spent two summers out on the road setting monuments. Now works in the office doing payroll, managing our social media profiles and website! Dustin is married to his beautiful bride who he met while traveling in South Africa. They just bought a house and both of them frequently wonder how they ended up making their life in South Dakota, especially when it's -26 degrees Fahrenheit in December.